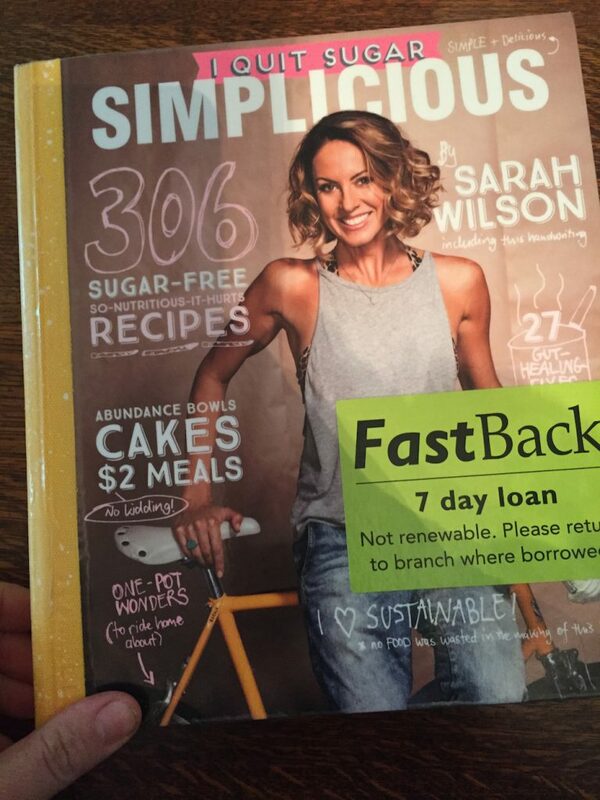 I have been eyeing off Sarah Wilson’s new book Simplicious for a while and yesterday I spotted it at my local library do I snatched it up (but only have 7 days so I’m bingeing)! Let me first just say that it’s brilliant. I love the casual layout, the notes, the info etc. In fact, being very in tune with designing/writing a cookbook at the moment, it’s the kind of book that given more time, experience & a team of people, I’d like to write. It’s real & informative and encourages waste reduction which I’ve not been fabulous at but have been trying to improve and now I have more tricks up my sleeves. Thank you Sarah! 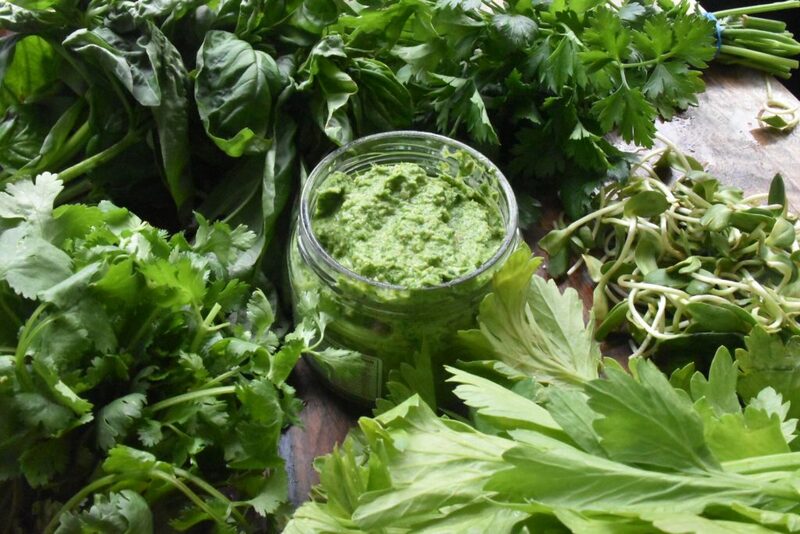 One of those ‘waste reduction’ tips is to use stems and leaves in pesto. With all my celery juicing this week (doing a raw food detox) I had been wondering what to do with all the leaves. Pesto! 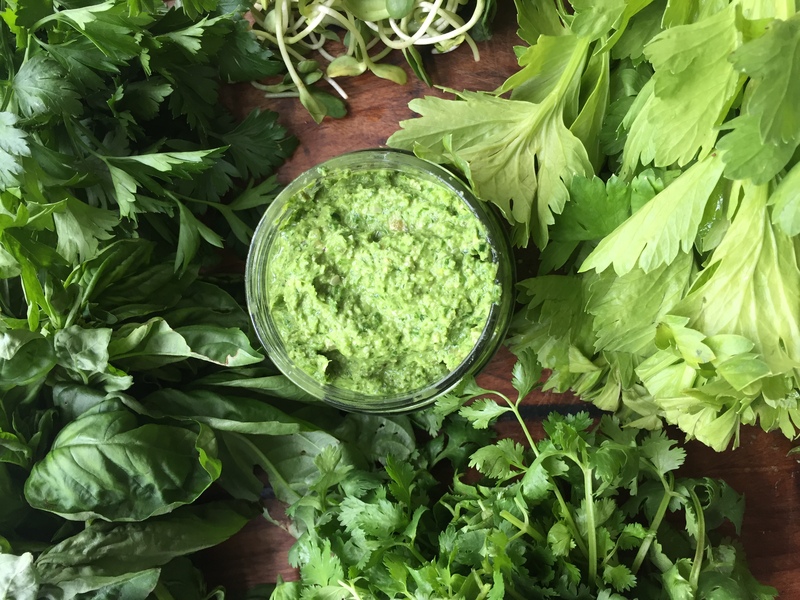 I don’t want to reproduce her recipe without permission, so here are my ingredients – if you haven’t made pesto before check out my recipe in my book for the basic method/quantities. It’s DELICIOUS! Very light tasting and RAW which means I can eat it on my raw detox although I won’t have too much as my gut doesn’t react all that well to nuts & seeds. 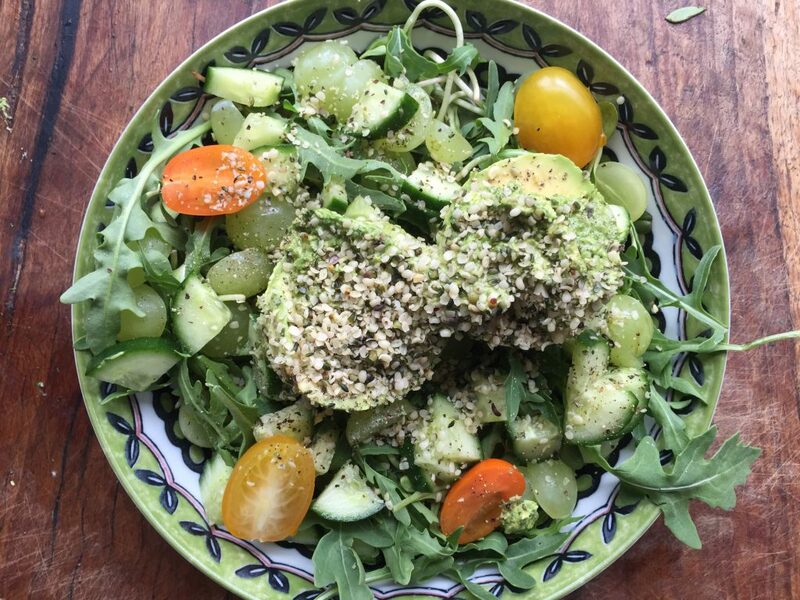 Sunflower sprouts (I picked up bags for only $1 from my local organic shop as they were best before today), rocket, cucumber, grapes, tomatoes, avocado dolloped with pesto & sprinkled with hemp seeds. I’m getting used to this raw thing now… bring on day 6!